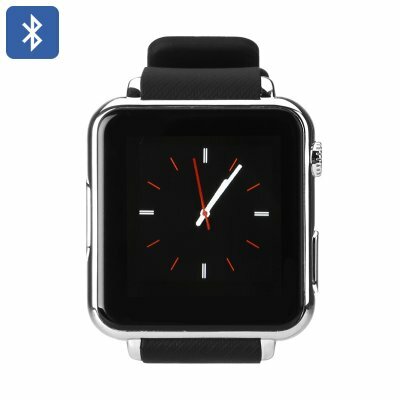 Successfully Added Iradish Y6 Bluetooth Smart Watch - 4 Band GSM SIM, Pedometer, Sedentry Reminder, Notifications, Bluetooth Sync (Silver) to your Shopping Cart. The Iradish Y6 is a fully functioning, standalone watch phone that will let you make and take calls direct from your wrist. So if you want to travel light and leave your smart watch behind you can still rest assured that family and friends will only be a phone call away. Just insert a SIM card and you're good to go. With built-in pedometer, sedentary reminder and sleep monitor this stylish smart watch is a great motivator, like having your very own personal trainer wherever you go to keep you on track with your fitness plan. Support for up to 32GB of external storage via the Micro SD card slot lets you load hours of music and media on the phone so you can have those instigation hits while working out in the gym or listen to podcasts on your daily commute. A built-in camera will also let you discreetly snap shots so you can surprise friends and family with candid pictures. The Iradish Y6 smart watch can be synced with your Android or iOS device and with the partner app you can use your phones Bluetooth connectivity to allow for messages and social media notifications to be directed to the smart wrist watch. This means that you can leave the phone tucked safely away ion your bag or pocket while still being tapped into your social network. This Iradish Y6 phone watch comes with a 12 months warranty, brought to you by the leader in electronic devices as well as wholesale smart watches and watch phones..